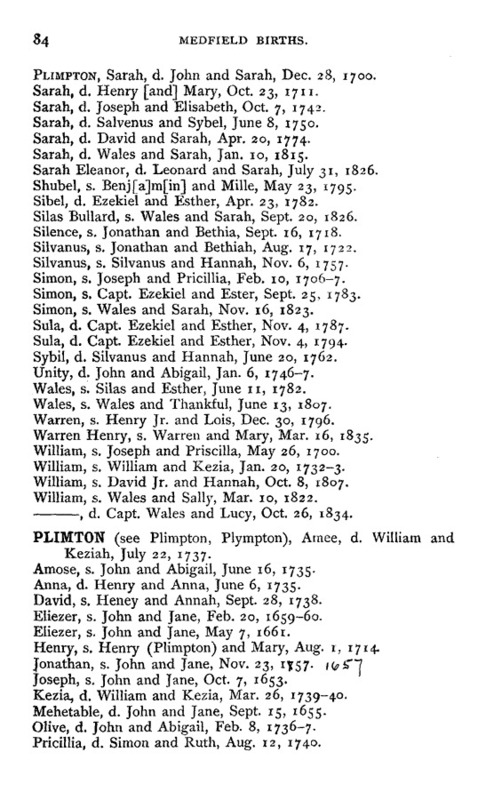 The treasure today is the 1735 birth record of Amose Plimton, son of John Plimton and Abigail Fisher in the vital record book of Medfield, Norfolk County, Massachusetts. Vital Records of Medfield, Massachusetts to the Year 1850 (Boston, Mass. 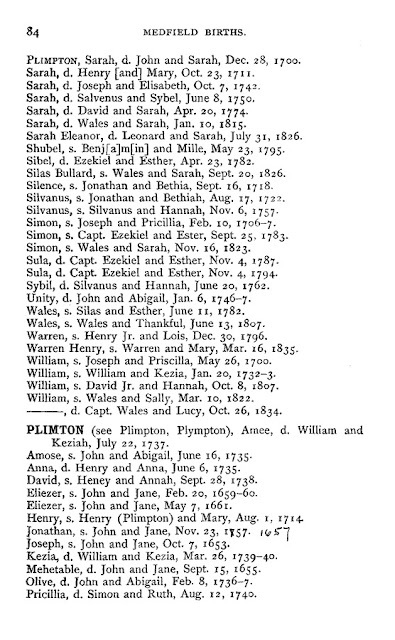 : New England Historic Genealogical Society, 1903), Births, page 84, Amose Plimton entry. Amos Plimpton was the second child (of five) and second son of John Plimpton (1708-1756) and Abigail Fisher (1711-1785), who married in Medfield, Massachusetts in 1731. Amos Plimpton married Mary Guild (1735-1800) in 1756 in Walpole, and had five children. They are my fifth great-grandparents. Their daughter, Mercy Plimpton (1772-1850) married Aaron Smith (1765-1841) in 1795, and had eight children.